February 2011 sees the first official live tour under the AFSAD banner. Jon’s Remnant Kings, including fellow Bellowhead multi-instrumentalists Sam Sweeney and Paul Sartin plus concertina virtuoso Rob Harbron and double bass maestro Rick Foot have been busy honing their lo-fi sound. They’ll incorporate anything from glass harmonicas to wax cylinder players (Eric and Edith) to bring to life the vision of Songs From The Floodplain. As most will already know, part of that vision is the idea that in a regressed future, folk song and folk custom will come to have greater significance as technological distractions become rarer or die out altogether. So naturally enough the Remnant Kings will be presenting a selection of traditional songs drawn from Jon’s wider repertoire as featured here, but within a framework of post-apocolyptic vision of his album. As a special bonus, at selected venues on the tour the band will be leading an after-show singing session. A different song will be recorded each night (with participation from the audience) and will be streamed the following day on these very pages. So here’s a chance for you all to join in. Even those of you who aren’t confident enough to sing out solo can surely muster a hearty chorus or two, safe in the knowledge that those with stronger voices will doubtless carry the tune. Besides this really is one of those rare occasions where the taking part is all that matters. With a reasonable prevailing wind we hope to offer them as bonus podcasts too. I’ll be at the London show for sure and am currently considering my options for one or two others. I’d be very interested to hear from any of you who are going as it might be a chance to meet up, should any of you wish it. We’ll be posting each of the Live tracks on this page as they’re recorded so check back regularly to stay updated. Yay! I shall be at the London and Oxford shows. If the shows are even half as good as the one they put on at Nettlebed last year, I’m in for a treat. Unfortunately my voice is hopelessly unable to produce any sort of tune whatsoever. It’s properly, laughably awful to the point where people think I’m being terrible deliberately for comic effect. I also live in Manchester, but will be at the Cheltenham gig (on my birthday too Joanne!) Hoping we’ll get the chance to have a jolly good sing. Me and my mate are in the process of forming a guitar/voice/melodeon due and I could do with the practise! I may be able to arrange a visit to my daughter in Nottingham on the appropriate weekend – does that date involve a singing session? Hmm… so much for the home of folk music relocating to Sheffield. Not a single date in Yorkshire! My Wife Jane and I will be at the Kings Place, London, concert on February 10th. I am slowly converting Her Ladyship to the folk scene! I was also from Manchester originally, I will be going to the Toronto Ontario show, whenever it appears on the tour date listing. I have LOTS of friends over here who sing too. Dunno, John, Toronto’s a fair way out. Maybe on the way back from Bury? Heaven only knows how Jon will cope with the travel from Pontardawe up to Cockermouth and then back south to Hereford for sucessive nights! Looks as if Cockermouth is the only northern venue; are there many [AF]SADists planing to go? I may manage to get there too. Mezzie: if the singing at Jon and Fay’s club in Dungworth is anything to go by, the sessions will be rivalling the gigs fo fabulousness. Hi Allison. Can I recommend Tuesday nights at The Plough and Harrow on Leytonstone High Road to you? 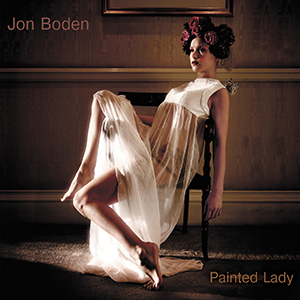 Just seen on Jon’s website that there will be a singing session at the Cheltenham gig – huzzah! I thought Eric and Ernie didn’t sound right! I’m live not that far from Epping and the Central Line – I like to try different folk clubs – can you advise me re the Leytonstone High Road venue please? There’s little more than a week to go the the Bridgwater gig and we’re looking forward to travelling back to my wife Jo’s home town from the Black Country. We’re especially looking forward to the singing session which will give Jo a chance to perform at the Arts Centre once again. She just won’t say how long it’s been since her last performance! However it would be nice to know what the song will be (prior notice promised on the Arts Centre Website) so that we can rehearse in the car on the way down! Why have you missed the Musician in Leicester? Great venue and always well supported. Looking forward to Jon third visit to Farnham Maltings in the company of the Remnant Kings – especially the return of Eric and Ernie! 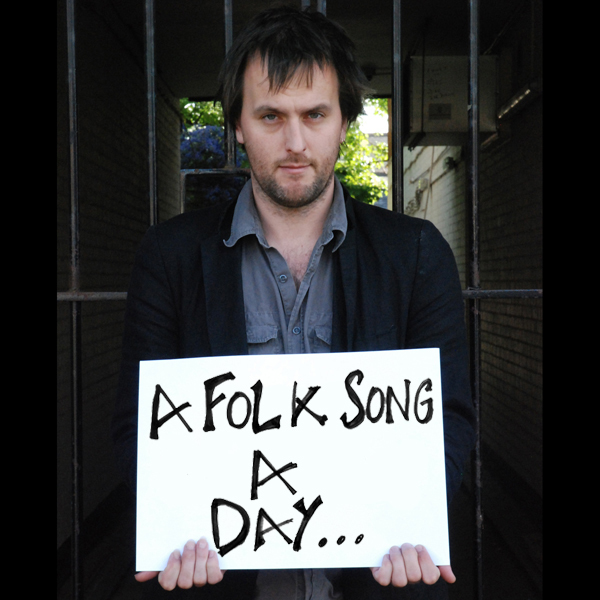 where can we find out which song is going to be the focus of the london gigs’ session? This is a wonderful idea and I would join in, if the only near venue wasn’t Cockermouth, so not that near. Come North, young man! Contrary to what some might say, I haven’t got a cockermouth and can carry a tune, when not too scaredy-cat to sing! I’d have joined in yer session… maybe another time then… I know!…what a loss to AFSAD! Hahahaha! Thanks for a fantastic night at King’s Place. And hundreds of folk singers in the lobby afterwards, in such good voice. Extraordinary. @John do you know Walthamstow folk club? And Waltham Abbey and Loughton? Yeah, what a cracking night. Thanks Piers – good meeting you. Jane is a choral person (member of two choirs) but is coming round to the folk world! More concerts like last night will convince her event more. Really enjoyable concert and post concert sing. Any readers not yet committed to attending a date on the tour I would encourage you to get a ticket if possible – if last night’s show is the standard for the tour you won’t be disappointed. Looking forward to Bridgwater on saturday. Have you any idea what song will we be singing on the night? Hanging Johnny sounds fantastic. The chorus are in good voice and the list of future songs sounds very promising. Thought the concert at The Hive Shrewsbury last night was fabulous. 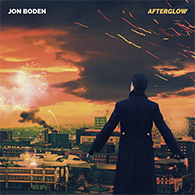 I could listen to Jon Boden sing all day. Loved the Remnant Kings. Classy musicians, sublime music and singing. So glad to be able to say I was there. Thanks. I had a thoroughly enjoyable night in Oxford last night – thank you. Oxford was brilliant – we had a great time. Amazing gig and although neither my other half or I can hold a tune (I can’t even start one, in fact) we also really enjoyed listening to the post-gig sing too. Excellent stuff! Also liked the trad stuff, Kipling and the Kate Bush – once I got over my fit of the giggles when I realised what it was. Singing after was generally very mellow and occasionally a bit silly (as you will have heard). Hope to see everyone back there for Spiers and Boden in April. Jon, Rob, Rick, Sam and Paul (not forgetting Mark on sound) – a hat-trick of superb concerts at the Maltings. So much talent, so many ideas, so much good music on one stage in one evening. The concertina quartets and string quintets were probably my highlights – and the Kipling stuff. Peter Bellamy would have loved what you are doing. And well done getting us to sing choruses after the show in buttoned-up Surrey. Mind you, bearing in mind the county and the fact we were in Farnham we should, perhaps, have sung “Pony Riding”. Loved the singalong at Pontardawe, and managed to sing “The Trees They Do Grow High” (aka “Lang a Growin’) despite being very nervous. It was an opportunity not to be missed and I am glad I did it. I do hope there’s going to be a Remnant Kings CD, either playing Jon’s songs or some of the stunning traditional arrangements from this tour.